The J-20 stealth fighters took part in its first aerial combat exercise against several Chinese fighter jets. Chinese J-20 stealth fighters took part in its first aerial combat exercise. 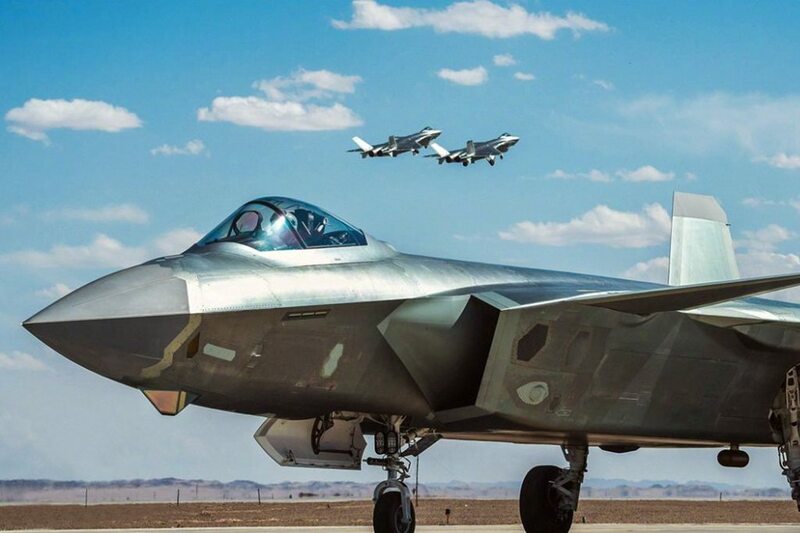 Air Force of the People's Liberation Army of China (PLAAF) has recently carried out a real combat training, with the involvement of the J-20 stealth fighter and the Y-20 military transport aircraft, according to Xinhua News Agency. It marked the debut in an air combat exercise for the new J-20 fighter jet. The China's 5th Generation Fighter took part in simulated combat ops against several new combat aircraft including the J-16, J-10C and H-6K bombers. This real-training-exercise was organized to improve the air force's capability to win battles. The President Xi Jinping has strongly promoted it. He urged the army at all levels to enhance military training oriented at combat readiness and put military training at a strategic position and as the central work with effective results. The j-20 has become operational recently. PLAAF has formalized the entry into service of the J-20 through a press conference held by the Chinese Ministry of National Defense spokesman on 28 September, 2017. The Chengdu J-20 is a single-seat, twinjet, all-weather, stealth fifth-generation fighter aircraft developed by China's Chengdu Aerospace Corporation for the PLAAF. The J-20 made its maiden flight on 11 January 2011, but it was officially revealed during the Airshow China 2016 in Zhuhai (More details here).